The Qatar Masters has major champions and former Ryder Cup stars among the tournament’s roll of honour since its inception, including a familiar face from the Sky Sports Golf team. Sergio Garcia, Adam Scott, Henrik Stenson and Ernie Els are just some of the notable former winners at Doha Golf Club, where Andrew Coltart claimed his maiden European Tour victory. 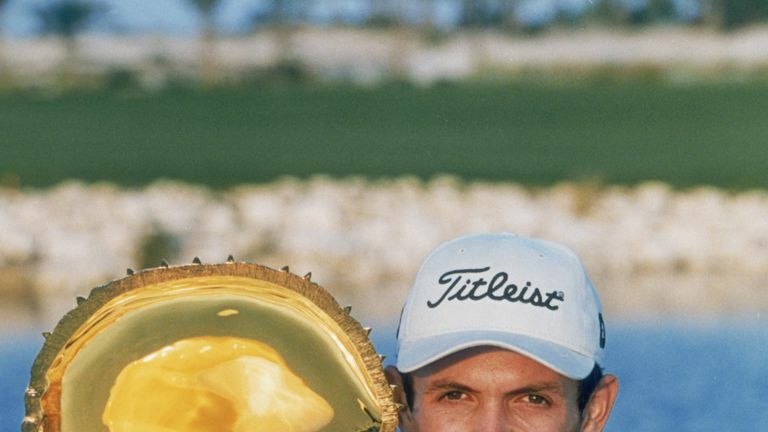 Coltart was the first winner of the event when it was put on the schedule in 1998, where he claimed a two-shot win over Andrew Sherborne and Patrik Sjoland. The Scot was five strokes back from leader Sherborne at the halfway stage and still trailed by two shots heading into the final round, but posted rounds of 65 and 67 over the weekend to take the title. Coltart's win was the first of two European Tour titles in a career that also saw him win the Australian PGA Championship twice and represent Europe in the Ryder Cup, although his Qatar success remains one of his proudest golfing achievements. Ahead of this year's event, Coltart returned to the venue to look back at his win and recall some of the key shots that helped him to victory. Click on the video above to hear Coltart's Qatar memories! Watch the Qatar Masters throughout the week live on Sky Sports Golf. WATCH: Mic'd up for golf!